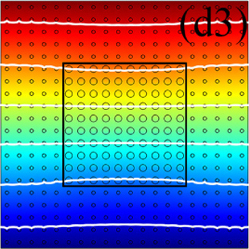 Simulated spatial and angular distributions for high-energy protons along a silicon axis. The thinner the silicon crystal, the better. Indeed, thinner crystals provide better ways to manipulate the trajectories of very high-energy ions in particle accelerators. Further applications include materials analysis, semiconductor doping and beam transport in large particle accelerators. All of these rely on our understanding of how positively-charged high-energy particles move through crystals. This process, called ion channelling, is the focus of a new paper by Mallikarjuna Motapothula and Mark Breese working at the National University of Singapore. 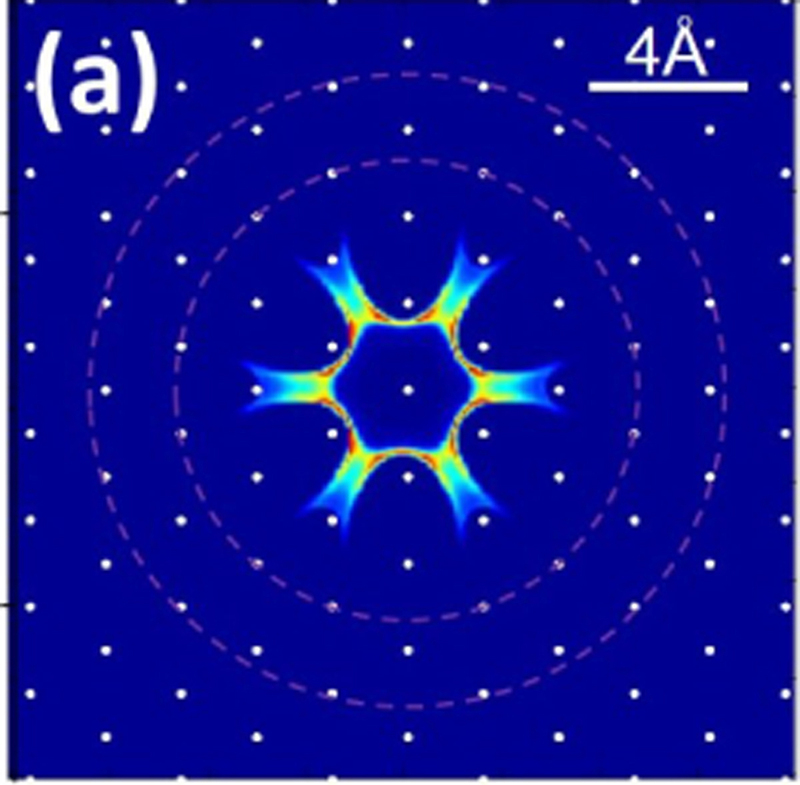 In a paper published in EPJ B, the authors study how the crystal periodicity affects the motion of ions whose energy belongs to a 1 to 2 MeV range, as they are transmitted through very thin crystals on the order of a few hundred nanometres, and how it impacts their angular distribution. Average epidemic size according to new theory. Social networks, such as Twitter, thrive on key influencers spreading news. Like information, epidemics also spread from key individuals. To identify the most influential actors in such networks, many studies have, until now, focused on ranking the influence of individual nodes. But these methods are not accurate enough to single out influential spreaders because they fail to take into account the spreading dynamics. Now, Byungjoon Min from the Institute of Interdisciplinary Physics and Complex Systems, Balearic Island University, Palma de Mallorca, Spain, has calculated for the first time the expected size of epidemic outbreaks when spreading originates from a single seed. 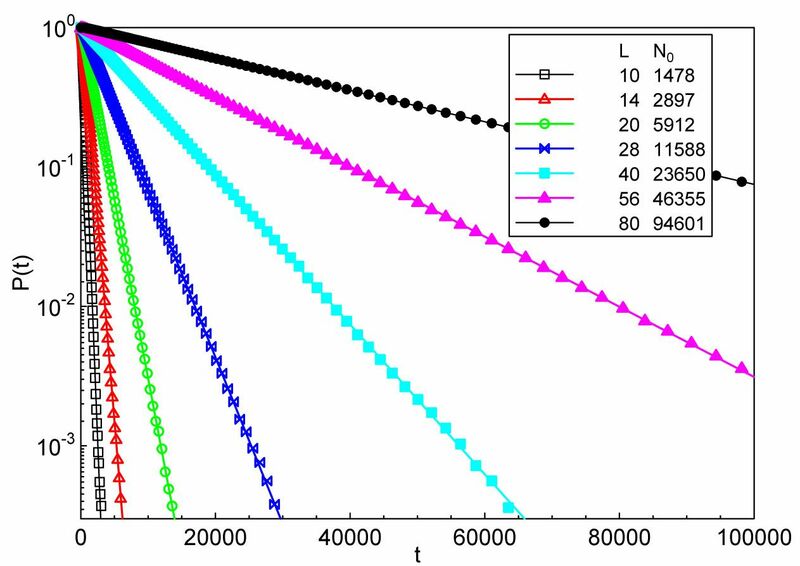 In a study published in EPJ B, Min accurately predicts the influence of spreaders in such networks. Applications include viral marketing, efficient immunisation strategies, and identifying the most influential actors in our society. Ever heard of the invisibility cloak? It manipulates how light travels along the cloak to conceal an object placed behind it. Similarly, the thermal cloak is designed to hide heated objects from infrared detectors without distorting the temperature outside the cloak. Materials for such cloaks would need to offer zero thermal conductivity to help camouflage the heat. Now, Liujun Xu and colleagues from Fudan University, Shanghai, China, have explored a new mechanism for designing such materials. These findings published in EPJ B could have implications for manipulating the transfer of thermal energy as a way to ultimately reduce heat waste from fossil fuels and help mitigate energy crises. 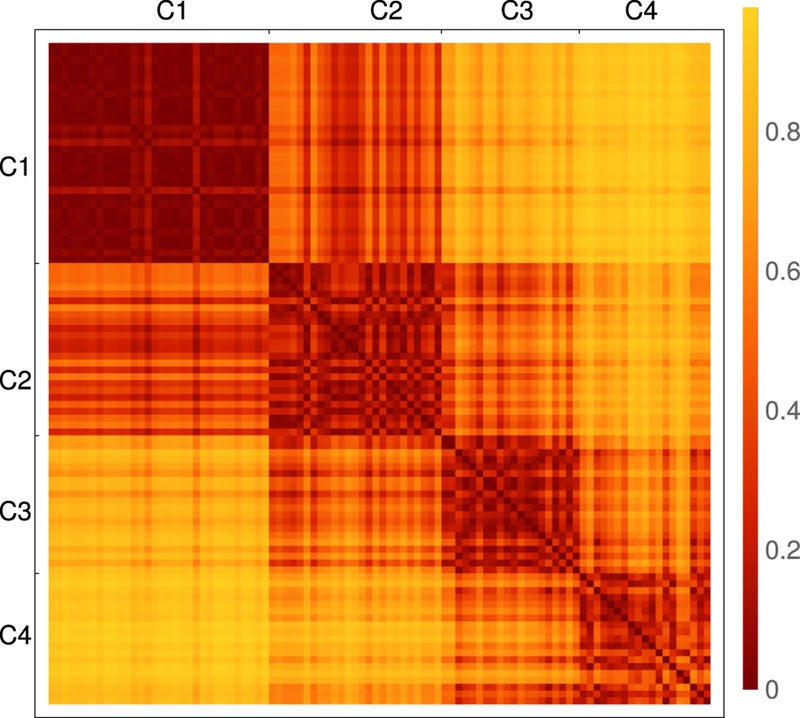 Pairwise disparity of the order flow of 96 stocks, grouped into four clusters. Every day, thousands of orders for selling or buying stocks are registered and processed within milliseconds. Electronic stock exchanges, such as NASDAQ, use what is referred to as microscopic modelling of the order flow - reflecting the dynamics of order bookings - to facilitate trading. The study of such market microstructures is a relatively new research field focusing on the trading interactions that determine the stock price. Now, a German team from the University of Duisburg-Essen has analysed the statistical regularities and irregularities in the recent order flow of 96 different NASDAQ stocks. Since prices are strongly correlated during financial crises, they evolve in a way that is similar to what happens to nerve signals during epileptic seizures. The findings of the Duisburg-Essen group, published in EPJ B, contribute to modelling price evolution, and could ultimately be used to evaluate the impact of financial crises. Representation of how the tipping point accelerates systems’ decision-making time lag. The Brexit is the perfect example of a time-delayed event. It will happen, if at all, only several years after the referendum vote. 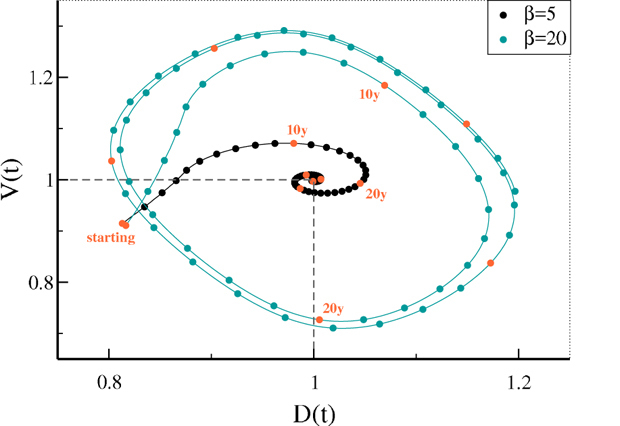 Dynamical systems with time delays, like societies making political decisions, have attracted considerable attention from physicists specialised in complex systems. In this new study published in EPJ B, Claudius Gros from Goethe University Frankfurt, Germany has shown that over time, the stability of our democracies can only be preserved by finding ways to reduce the time span governments and other political actors typically need to respond to the wishes of citizens, particularly when confronted with external shocks. That’s because citizens’ opinions are now forming much more quickly than ever before, relative to the time lags that policy decision making involves. This means that drastic changes in modes of governance may be required in order to keep democratic societies stable. Nature and society are full of so-called real-world complex systems, such as protein interactions. Theoretical models, called complex networks, describe them and consist of nodes representing any basic element of that network, and links describing interactions or reactions between two nodes. In the case of protein-interaction studies, reconstruction of complex networks is key as the data available is often inaccurate and our knowledge of the exact nature of these interactions is limited. For reconstruction of networks, link predict -- the likelihood of the existence of a link between two nodes -- matters. Now, Chinese scientists have looked at the influence of the network structure to shed some light on the robustness of the latest methods used to predict the behaviour of such complex networks. 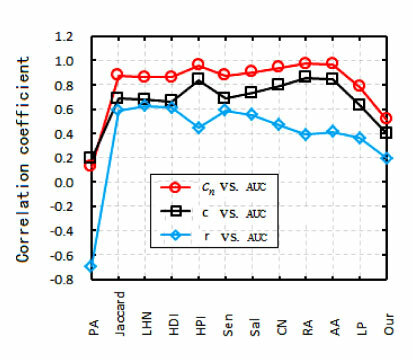 Jin-Xuan Yang and Xiao-Dong Zhang from Shanghai Jiao Tong University in China have just published their work in EPJ B, providing a good reference for the choice of a suitable algorithm for link prediction depending on the chosen network structure. In this paper, the authors use two parameters of networks—the common neighbours index and the so-called Gini coefficient index—to reveal the relation between the structure of a network and the accuracy of methods used to predict future links. In the study of phase transitions and critical phenomena, it is important to understand finite size corrections to thermodynamic quantities. Finite-size scaling concerns the critical behavior of systems in which one or more directions are finite. It is valuable in the analysis of experimental and numerical data in many situations, for example for films of finite thickness. 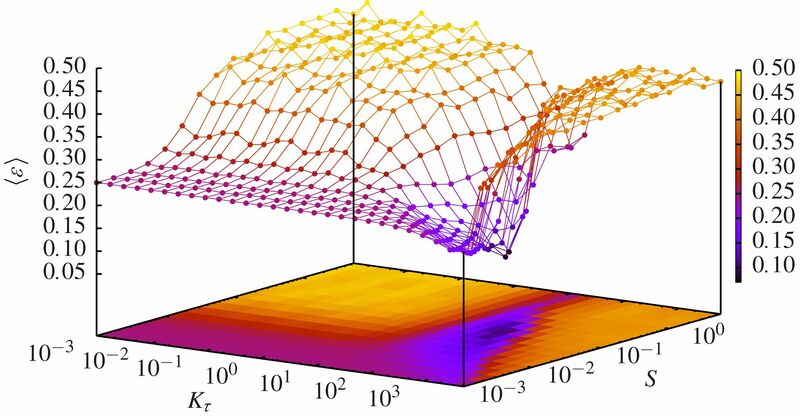 As soon as one has a finite system one must consider the question of boundary conditions on the outer surfaces or “walls” of the system because the critical behavior near boundaries normally differs from the bulk behavior. 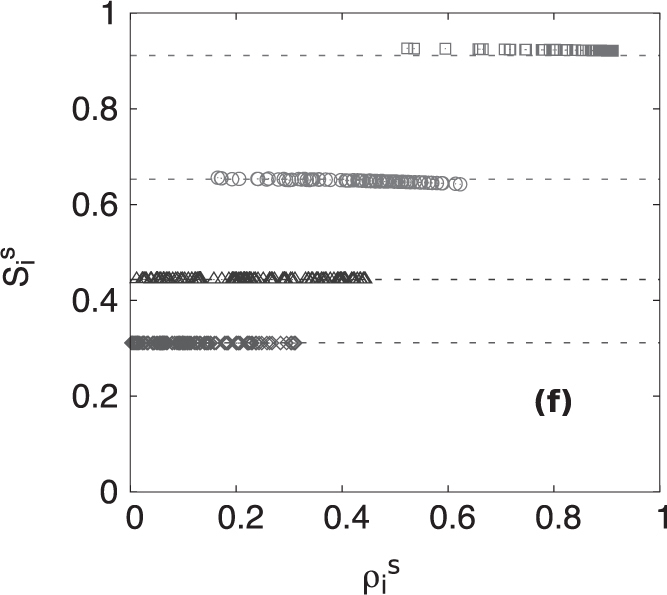 The author of this EPJ B Colloquium investigates the effects of boundary conditions on finite-size corrections through the study of model systems, especially those which have exact results and can be analysed without numerical errors, such as the Ising model, the dimer model, the resistor network and the spanning tree model. Semi-logarithmic plot of the survival probability P, vs. time t for several population sizes. Populations of endangered species reach a critical point in their life where they either survive or evolve towards extinction. Therefore, efforts to predict and even prevent the extinction of biological species require a thorough understanding of the underlying mechanisms. In a new study published in EPJ B, Hatem Barghathi and colleagues from Missouri University of Science and Technology, USA, have investigated how environmental disturbance at random times could cause strong fluctuations in the number of individuals in biological populations. This, in turn, makes extinction easier, even for large populations. They found that environmental disorder can lead to a period of slow population increase interrupted by sudden population collapses. These findings also have implications for solving the opposite problem when attempting to predict, control and eradicate population of viruses in epidemics. Cars that can drive autonomously have recently made headlines. In the near future, machines that can learn autonomously will become increasingly present in our lives. The secret to efficient learning for these machines is to define an iterative process to map out the evolution of how key aspects of these systems change over time. In a study published in EPJ B, Agustín Bilen and Pablo Kaluza from Universidad Nacional de Cuyo, Mendoza, Argentina show that these smart systems can evolve autonomously to perform a specific and well-defined task over time. Applications range from nanotechnology to biological systems, such as biological signal transduction networks, genetic regulatory networks with adaptive responses, or genetic networks in which the expression level of certain genes in a network oscillates from one state to another.